When visiting Matera we discovered that it was a town obsessed with beer – craft beer to be precise. Every bar and restaurant had a range of craft beers which were proudly displayed on its menu. The task of finding a simple Peroni or a Nastro Azzurro at our hotel was impossible – but they could supply three types of wheat beer and a gaggle of obscure IPAs. One beer that we were surprised to find was “New Zealand” IPA from Motueka. 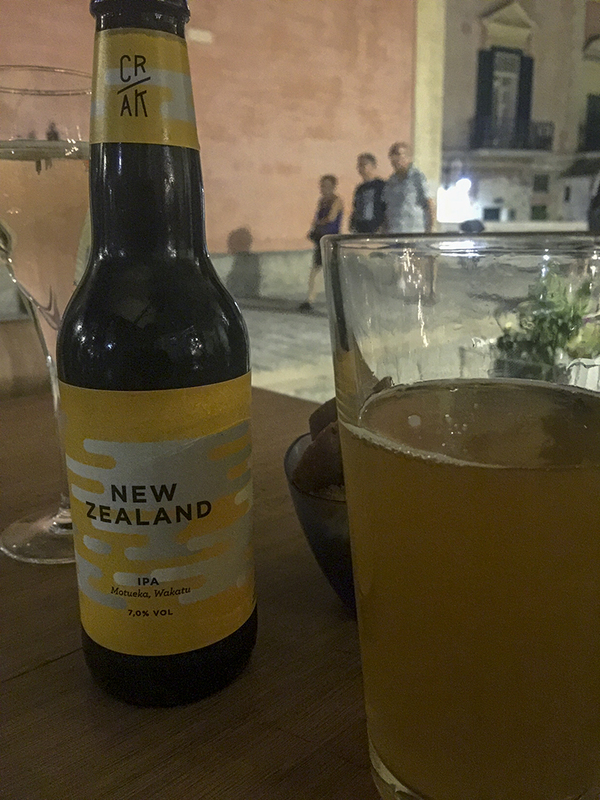 Who would have thought you could find a kiwi beer in, of all places, Matera. And of course, once we spotted it, we had to try it. That night we drank Matera’s entire supply of New Zealand IPA dry – both bottles. So, gentle travellers, if you are looking for a taste of home in Matera – you’re too late. Cheers. 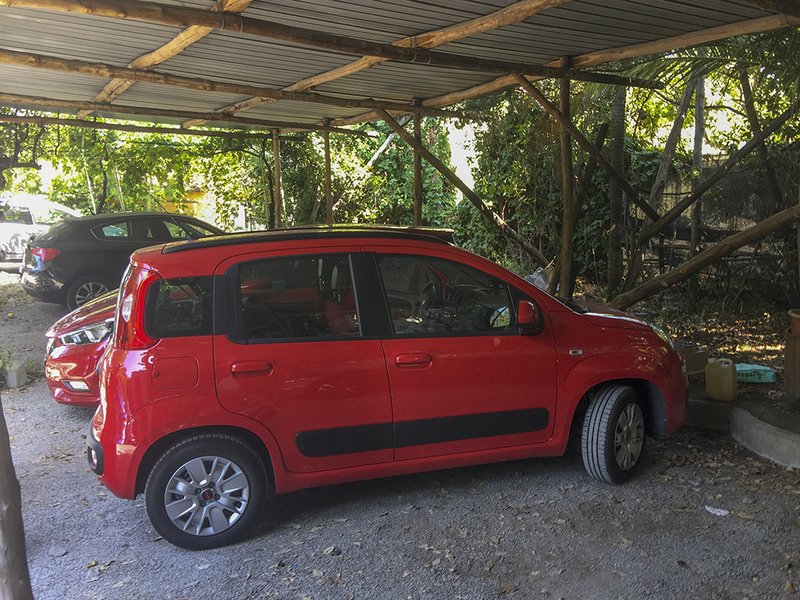 Saturday we picked up a rental car in Sorrento and drove the three and a half hours to Matera – south and east of Napoli and towards the heel of Italy’s boot. Matera known for its cave houses called “sassi”. The sassi are carved into the cliffs of a rocky ravine created by what was once a big river but is now a small stream. These cave dwellings are believed to be among the first human settlements in Italy dating back to the Paleolithic era, some 9,000 years ago. Since then, until as recently as the 1950s, the caves were continuously inhabited. Until the late 20th century, the Matera region was one of the poorest in Italy. There was no electricity or running water or sewage disposal facility. The extreme poverty of these people during Benito Mussolini’s fascist rule was exposed in the book “Christ stopped at Eboli” by an Italian doctor Carlo Levi. After the Second World War, the new government tried to move the city’s cave residents into modern dwellings but many people were reluctant to move. Eventually, the government had to forcibly relocate the inhabitants to the new town on top of the cliff. Matera’s fortune changed after 1993 when UNESCO declared Matera’s sassi and cave churches a world heritage site, bringing a wave of curious tourists. Since then, many of Matera’s crumbling caves has been restored and transformed into homes, stylish hotels and restaurants. Matera surprised us. 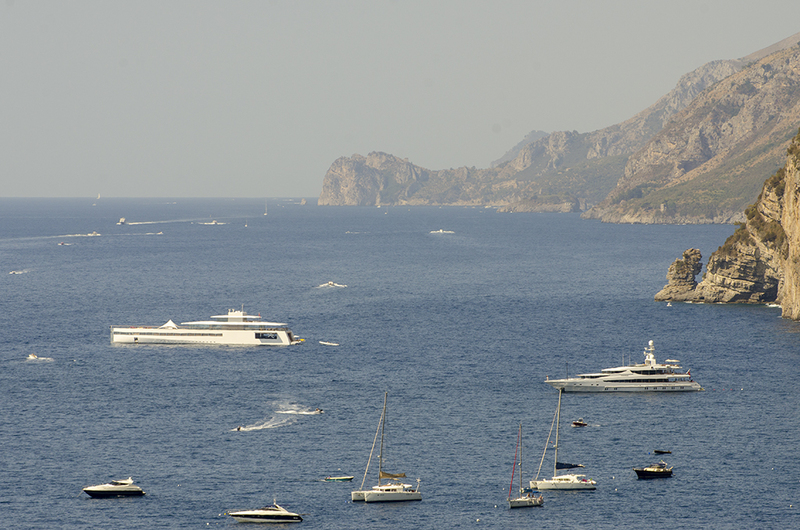 It is a tourist mecca, bustling now in late August, but almost all the visitors are Italian. We have seen one other English speaking couple in two days – who happen to be staying at the same hotel as us. All the menus and signs are exclusively in Italian and the majority of the locals speak little English, if any. This is truly a taste of authentic Italy. 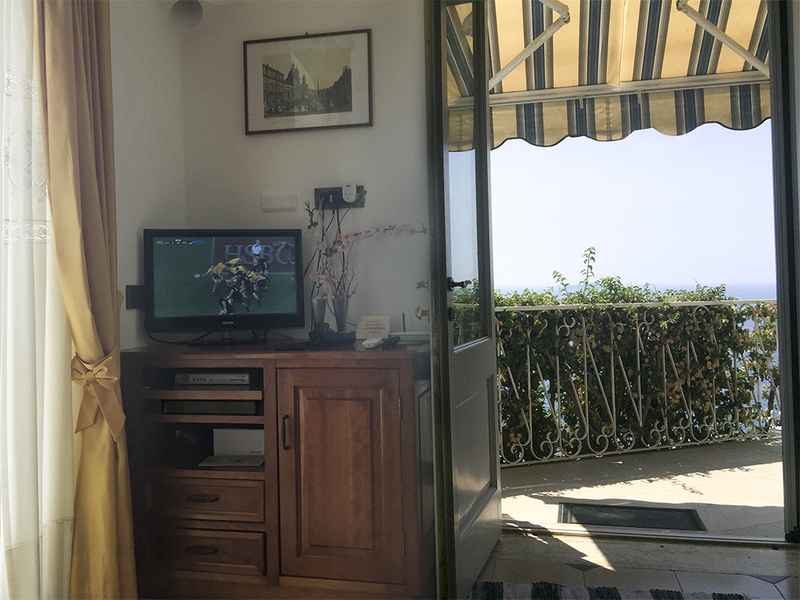 We are spoilt staying at The Palazzo Gattini Hotel in the Piazza Duomo. It is built in an old residence which has been extensively renovated and modernised – all within the constraints of the original building as there are strict laws about making changes to significant buildings in the town. Our room has a small outdoor pool which is has seen much use of the last few days as the temperature is currently hovering around 30 to 33 degrees during the day. 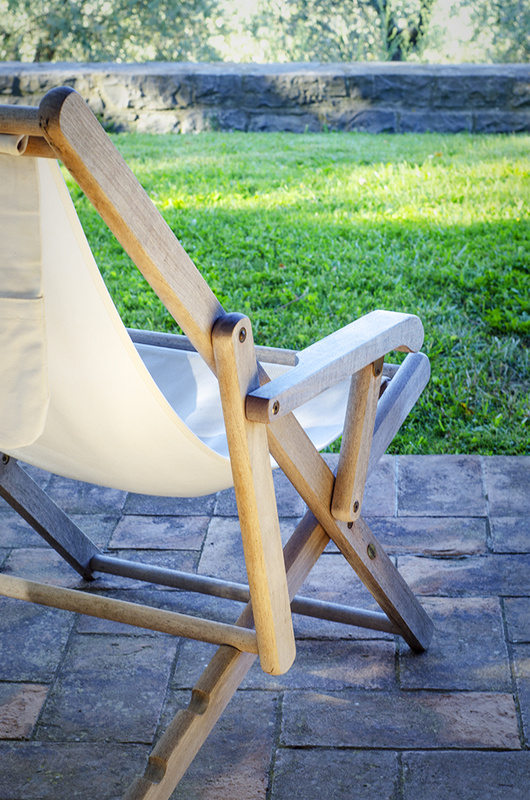 The town comes alive in the evening – after siesta and when the temperature drops. 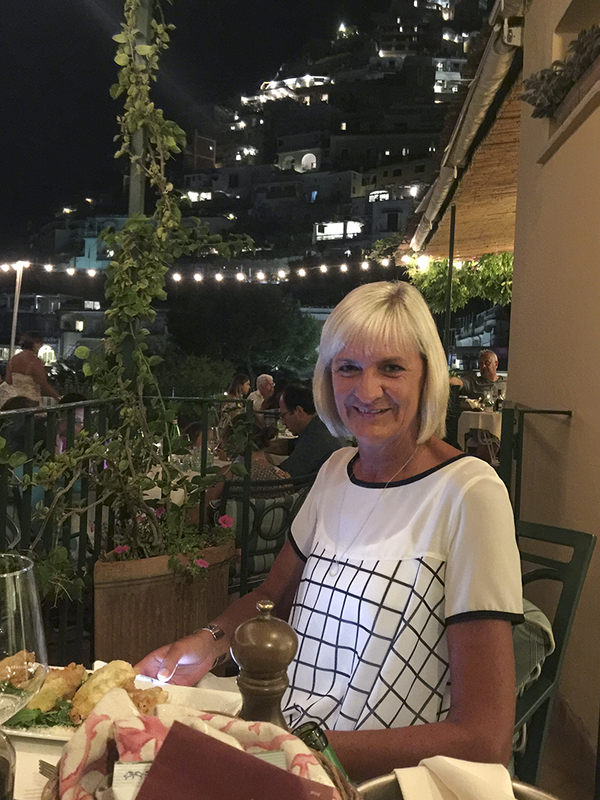 Locals come out for dinner and deserted streets and filled by outdoor bars and restaurants – and the inevitable flow of locals out for an evening stroll. Note: Thanks to amusingplanet.com for some of the information contained in this post.